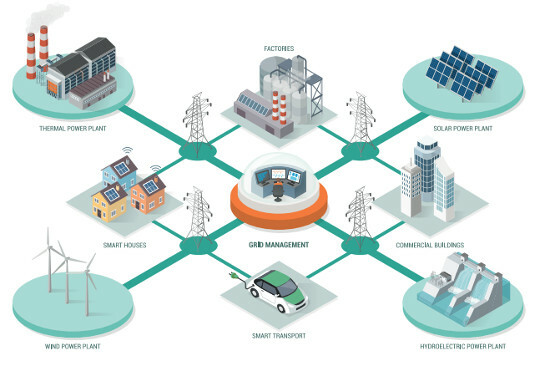 What was the impetus for the rise of microgrids and distributed energy resources? What role did competition play? 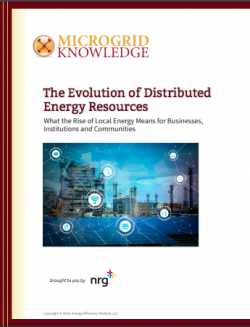 A new special report from Microgrid Knowledge and NRG Energy explores the industry’s evolution. Here’s a look inside the history of electric competition. Today’s growth in distributed energy and microgrids goes back to the passage of the Public Utility Regulatory Policies Act (PURPA) of 1978. PURPA was the legislative response to oil price shocks. The law aimed to foster energy independence by creating incentives for greater efficiency in the electric power sector. It also provided incentives for small wind generators, hydropower plants and combined heat and power (CHP). Because CHP is highly efficient and saves on fuel, PURPA’s authors wanted to encourage its development by independent, market-driven entities. They created a rate mechanism known as avoided costs, and amended the Federal Power Act with what became known as “the PURPA put.” This guaranteed a developer that if its project met PURPA requirements, the utility had to buy the output at the avoided cost determined by state regulators. The new language ensured 1) a market for electric power and steam produced by small power plants; and 2) that those plants would be paid a fair rate. No one at the time dreamed the idea would take off as it did, but applications to build PURPA plants flooded utilities in several states. Initial projects included small hydro plants, wind farms and waste coal plants; eventually natural gas-fired plants came under the tent. Viewed as proof that competition could work in the electric power sector, PURPA became a wedge in the door of the electric utility monopoly. To widen the crack, Congress passed the Energy Policy Act of 1992 (EPAct 92), which created open access on transmission lines and a new class of generators to compete with utilities to build new power plants. EPAct 92 also instituted a production tax credit for wind power plants. The Federal Energy Regulatory Commission (FERC) followed EPAct 92 with two orders to open markets even more. Order 888 in 1996 required vertically-integrated utilities to provide universal access to their transmission systems via an open access transmission tariff. Order 2000 in 1999 mandated the creation of competitive wholesale markets by the formation of regional regional transmission organizations (RTOs) and Independent System Operators (ISOs). These two laws, combined with the FERC orders, in effect deregulated the electric power industry. A century-old monopoly business became competitive. Now two-thirds of US electricity consumers receive power that flows through competitive wholesale markets. Less competition exists on the retail level. Retail choice — the ability of customers to choose energy suppliers — became a state-by-state decision. States in the Southeast, and to some extent the Southwest and parts of the Midwest, did not embrace retail choice. Those that did were in New England, the Northeast, the Mid-Atlantic and some in the Midwest. California embraced deregulation, but after the 2000-2001 energy crisis, walked back on some elements. The result is a patchwork of regulated and deregulated states. Deregulation also laid the groundwork for a wide range of new services in the power sector, such as demand response. And by instituting retail choice — the ability of customers to switch electricity suppliers — deregulation created a new energy business, the competitive retail supplier. This helped electricity customers become comfortable with buying electricity from a company other than their traditional utility. By offering customer choice, and freeing various players to participate in electricity markets, these events served as precursors to today’s microgrid and DER opportunities. The renewable portfolio standard (RPS) became the most effective of the state-level incentives. An RPS mandates that a certain percentage of utility sales in the state be derived from renewable energy sources. The competitive markets continued to grow with the production tax credit (PTC) instituted in EPAct 92, spurring a boom in wind power development. Later, the federal government added a tax incentive for solar, launching its rapid growth and eventual integration into microgrids. The Energy Policy Act of 2005 pushed restructuring even further, rescinding the 1930s era Public Utility Holding Company Act, and weakening PURPA to reflect the prevalence of competitive markets. It also mandated that utilities institute net metering. Soon a combination of federal and state level incentives opened the door to a DER boom. The renewable portfolio standard (RPS) became the most effective of the state-level incentives. An RPS mandates that a certain percentage of utility sales in the state be derived from renewable energy sources. A total of 29 states plus the District of Columbia now have RPS mandates, and eight states have non-binding renewable energy goals. Hawaii’s RPS is the most ambitious, requiring that the state be powered with 100 percent renewable energy by 2045. Several other states also have robust RPS targets. For example, California and New York both have a 50 percent by 2030 target. Most states meet RPS targets have with wind power. Policies are still being worked out, but the net result is a power market that offers DERs more potential revenue sources than ever before. FERC moved to open markets more in 2008 by issuing Order 719, which allows demand response to participate in the wholesale competitive power markets on an equal footing with generation. FERC followed that with Order 745, on how demand response resources are compensated in the wholesale power markets. To adapt the wholesale power markets to the latest technological changes, FERC issued Order 841 in February 2018. This directed RTOs and ISOs to remove barriers to participation by energy storage resources in competitive wholesale power markets. FERC also opened an inquiry into the integration of aggregated distributed energy in wholesale power markets. Some of those policies are still being worked out, but the net result is a power market that offers distributed energy more potential revenue sources than ever before. In the early days of electric competition, supporters said it would lead to technology innovation and better services for energy customers. 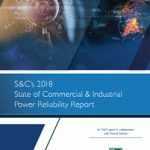 Today microgrids and distributed energy resources show the predictions were correct, particularly under new business models that have emerged, as discussed in the next chapter. In the final article in the new special report series on local energy, we will explore how customers can experience the full value of microgrids and distributed energy resources.